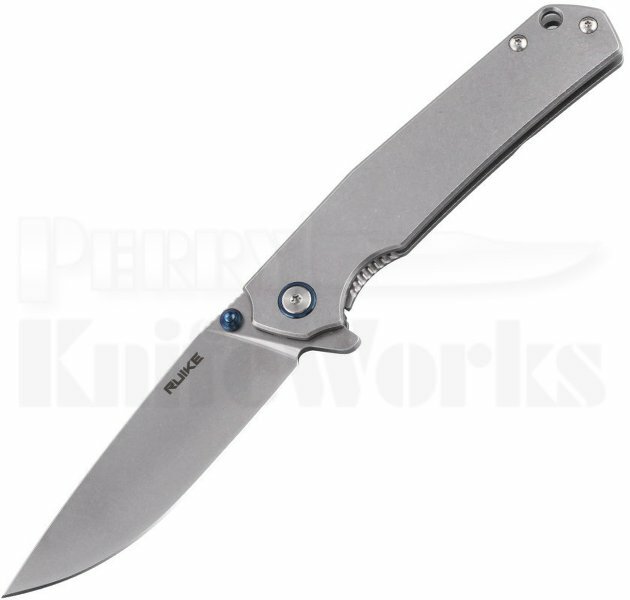 This Ruike Knives P801 is crafted almost exclusively of Stainless Steel, this simple yet elegant knife is of utmost quality. The neatly stonewashed 3Cr14N steel body is complimented by little details like the blue pocket-clip and thumb studs making this an exquisite EDC pocket knife. The blade can be deployed much faster with the flipper or the thumb stud as you prefer.